Pine River Group’s commercial division services a wide range of customers including manufacturers, contractors and government agencies, with varying needs. Offering quality products, quick quote turnarounds and multiple delivery options when needed - serving industry professionals and contractors is a priority of our commercial sales team. We understand the urgency and importance of having information and material when you need it and are committed to doing what it takes to accommodate. Here's a bit more on what we offer to ensure our customers receive the best care possible. We understand the importance of tailoring deliveries to meet your needs and expectations. By utilizing a fleet of over 100 flat-beds and units with self-unloading capability, 22 of which are company-owned by our in-house logistics team, we have the ability to react quickly and deliver on-time to your location or job site. We understand that extra service may be required to make a job go smoothly and we are committed to helping our customers do just that. As part of this commitment, we offer 24-hour emergency service, should you need extra help. Just call 231.709.1819 and one of our representatives will be there to assist. 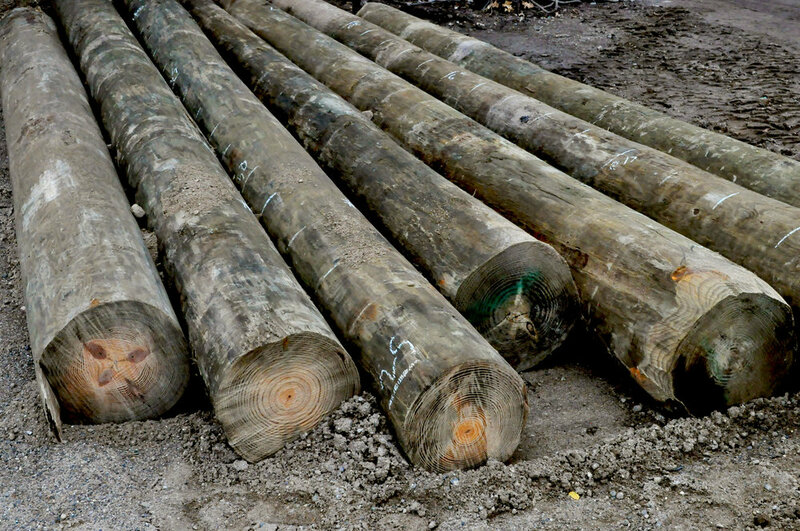 When it comes to utility poles, we recognize the need for quality product with superior strength. As a result, all of our poles are produced in accordance with strict quality control measures that are ingrained in our company and facilities at all levels. Our poles are available in a wide range of species, preservatives and classes, in lengths up to 125’. Working with our team ensures you get quality product, reliable deliveries and a partner eager to see you succeed. We are proud to stock the Midwest’s largest supply of piling, ranging from 20’ to 50’, in 5’ increments. As wood piling continues to be the most economical foundation building option, you can stay on budget knowing that Pine River Group is working hard to deliver quality product, giving you the peace of mind that comes with building a strong and secure foundation. We look forward to the opportunity to earn your business and support your projects. GatorBar is a composite rebar manufactured by Neuvokas Corporation. Their patented process uses the highest quality basalt fiber and epoxy resin, resulting in an incredibly strong rebar, ideal for supporting any pavement, sidewalk, parking lot, patio, or curb and gutter installation. HIGH STRENGTH - Its high tensile strength allows #3 GatorBar to replace #4 black bar at a comparable price. LABOR SAVINGS - Labor savings estimated at 1 man-hour per ton of steel replaced. FREIGHT SAVINGS - Up to 75 percent freight savings on full truckload quantities. EXTENDED STRUCTURE LIFE - No rust high strength equals a much longer life expectancy. REDUCED INJURY - Workers will carry and place 7X less weight per job, reducing the risk of injury and strain. E.C. 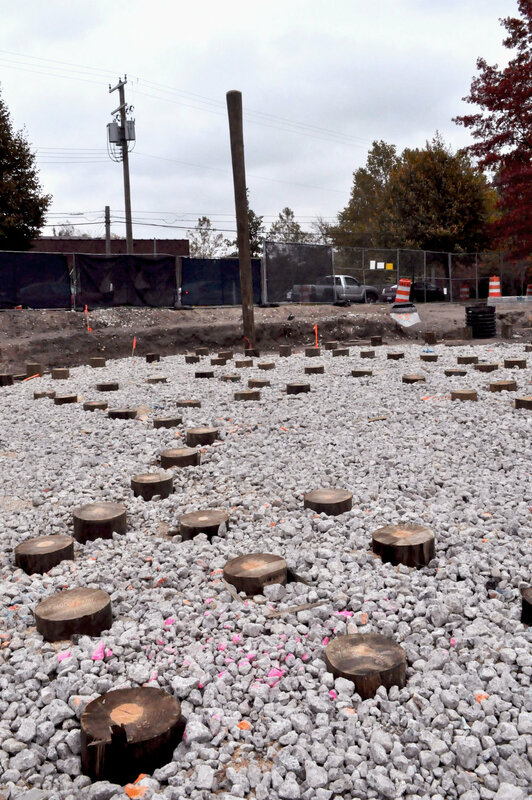 Korneffel hard at work building the foundation of a new luxury condo building in the heart of Ann Arbor, Michigan.